Even with no update on the station, Fenton Planning Board meetings are packed and tense. 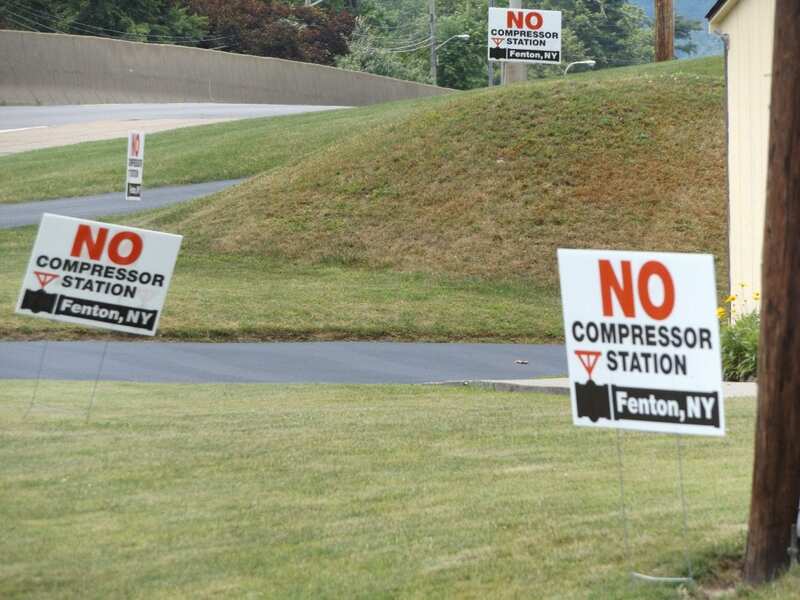 At a meeting this week, residents protested the station wearing white t-shirts that read “no compressor station” in red and black writing. There’s a picture of a gas pipeline on the bottom. The residents and the board are waiting to hear back from the state. The Department of Environmental Conservation is combing through 14 state agencies to pick one to run an environmental study. That’s a study process a Broome County judge ruled was botched by Fenton the first time around after a legal challenge by residents, a church and the Chenango Valley School District. The company proposing the station, NG Advantage, decided to re-apply and that’s led us to this point. Adrienne Irons is a resident against the station and wants people to keep packing these meetings. She says residents need to keep an eye on the board. They’ll only stop if NG Advantage drops the proposal, says Irons. But outside of Fenton, some people are showing support for the station. Victor Furman lives in a neighboring town. He sees it as a way to revitalize the area. In the meantime, the Fenton Planning Board is trying to fill seats. Two members resigned in the last two months.